21 days and that’s all it takes to form any habit in the world. This is the most common piece of advice you’ll find about habits. It’s plastered all over popular psychology websites, self-improvement columns, and is even the premise for quite a few apps. How many days does it really take? Unfortunately, for anyone who’s actually tried to form a new habit, especially a more elusive one – like exercise for instance – 21 days isn’t the case. Well thankfully, I wasn’t alone. In 2009, a study was done in the European Journal of Social Psychology where each participant chose an eating, drinking, or other behavior to carry out daily following a unique cue. For example, one glass of water after breakfast. This activity was to be performed for 12 weeks. The results? The average time it took for a behavior to become a habit was 66 days. But the real kicker was the range of the data. Some participants automated their behavior after just 18 days while others took up to 254 days! The unique individual forming the habit. Which makes sense. When starting from scratch, drinking one glass of water each day is obviously going to be easier than writing 1000 words daily. And someone who has already trained their willpower (yes, willpower can be trained) will have an easier time forming a habit than someone just starting to develop better habits. Even though habits follow wildly different timelines to being formed, they all follow the same general framework to get there. So how does one stick to a habit when it could possibly take 254 days to become routine? Let’s dive in. What makes habits so elusive. You didn’t really want to form the habit in the first place. Someone else thought it might be a good idea, so you listened. The habit is too hard. You tried to form too many habits at once. Your life is incredibly hectic and/or busy. The unexpected throws you off your game (sick, happy hours, vacation, visitors). You lose the initial motivation then just quit. You miss a couple of days then decide now must not be the right time. These are all valid reasons. It makes sense then that our plan for forming a new habit must address most, if not all, of these bad guys. Steps to forming any new habit. Pick just one habit to form at a time. Contrary to popular belief, changing your life doesn’t have to mean a full overhaul. It’s actually best to change one habit at a time. James Clear does a fantastic job explaining the science and benefits of this strategy. It’s also a principle of habit change, so it’s wise not to ignore. Start small. Set a ridiculously small goal to start. If it seems ridiculous, it should be. Otherwise make it smaller. We can’t always rely on motivation to start a big and scary task, but by breaking it up into something smaller, we minimize the motivation necessary to start. Forget performance, only focus on starting. Behaviors only become habit once performed over and over again for a prolonged period of time. If you’d like to make something routine, you simply have to make sure you do it consistently over and over. Once it becomes an autonomous behavior, aka a habit, then you can scale up performance. Identify your cue and don’t forget to reward yourself. The cue, the routine, and the reward are the three pillars of the habit forming loop. This is the science behind how habits are formed. Don’t try to reinvent science. Enjoy yourself. A good way to fail at a new habit is not wanting to have the habit in the first place. If you want to exercise but hate running, how about lifting weights, biking, or swimming instead? Don’t try to force yourself to run just because your super skinny co-worker runs 5 miles each day. Work on habits that you want, not someone else. Have a plan for failure. Everyone has bad days, and sometimes those bad days cascade over into your new habits, causing you to miss a day. What’s your recovery plan/contingency when this happens? It’s important to have a plan in place to get back on track ASAP and mitigate the effect of a missed behavior. Missing one day isn’t the end of the world, but missing two or more days in a row usually leads to discouragement and giving up. Think ahead of time about how you will get back on track and simply execute when a bad day hits. Create accountability. Everybody needs some help, and creating accountability to minimize the amount of failure is mandatory. Don’t rely on your own motivation and willpower to get the job done. Like we discussed, bad days happen. By having one or more people in your corner, you can actually increase your chances of sticking to the habit by about 50%, at least in my own experience. Habits aren’t rocket science, but they are a skill. This means that the more you practice forming habits, the better you get at it. If you’re a newbie just starting to develop better habits, take my advice and start extremely small. Just one glass of water every day is a perfectly easy way to build your habit skills, while also improving your health. Telling your significant other how much you appreciate them is another perfect way to build your habit skills, while bolstering your relationships. It’s also incredibly effortless, but ridiculously powerful. Remember, whichever habit you choose to work on, don’t get discouraged if it hasn’t become automatic after 21 days. Science is on your side as long as you’re consistent and follow the advice in this article. 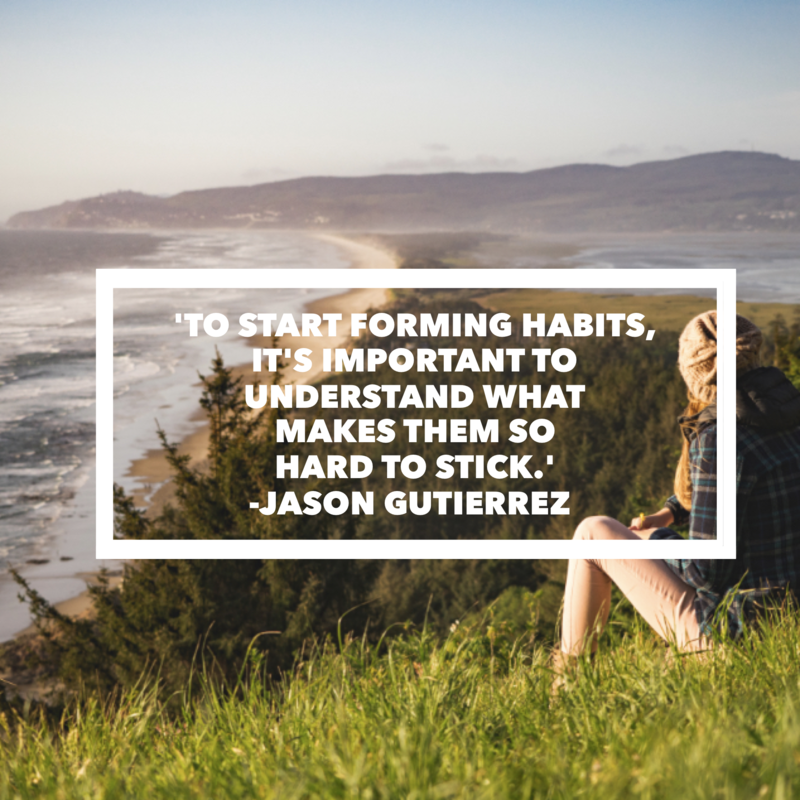 Jason Gutierrez writes at themonklife.net about behavioral science and how to create better habits to drastically improve your life. Sign up for his free newsletter to get practical advice for becoming a superhero version of yourself.